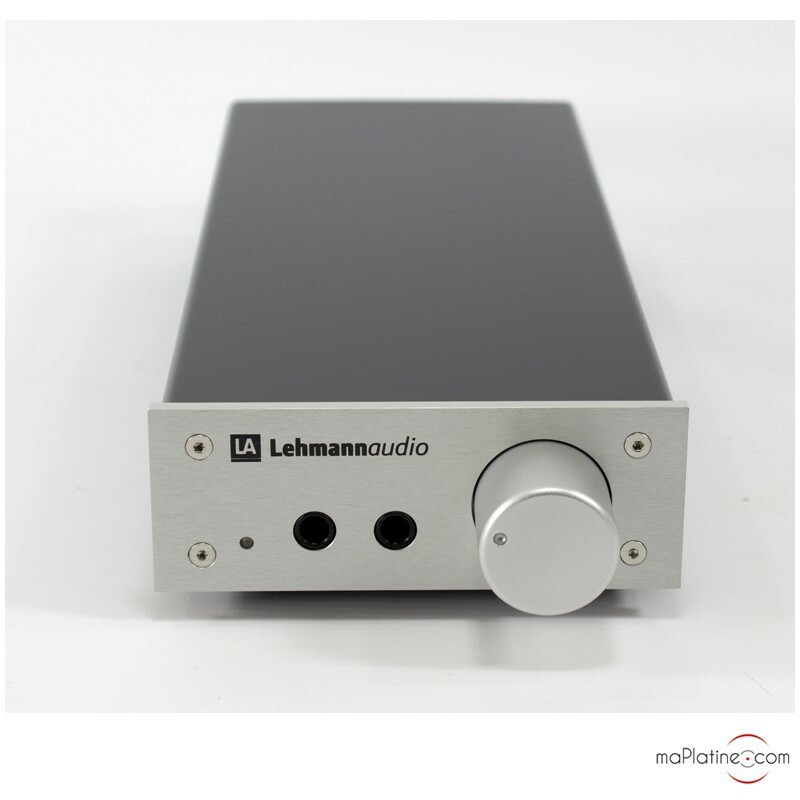 Audiophile headphone preamplifier with volume control. Like Lehmann Audio’s other products, it features state-of-the-art components: MKT capacitors, military grade resistors, an ALPS 27 mm potentiometer, gold-plated jack and RCA connectors. 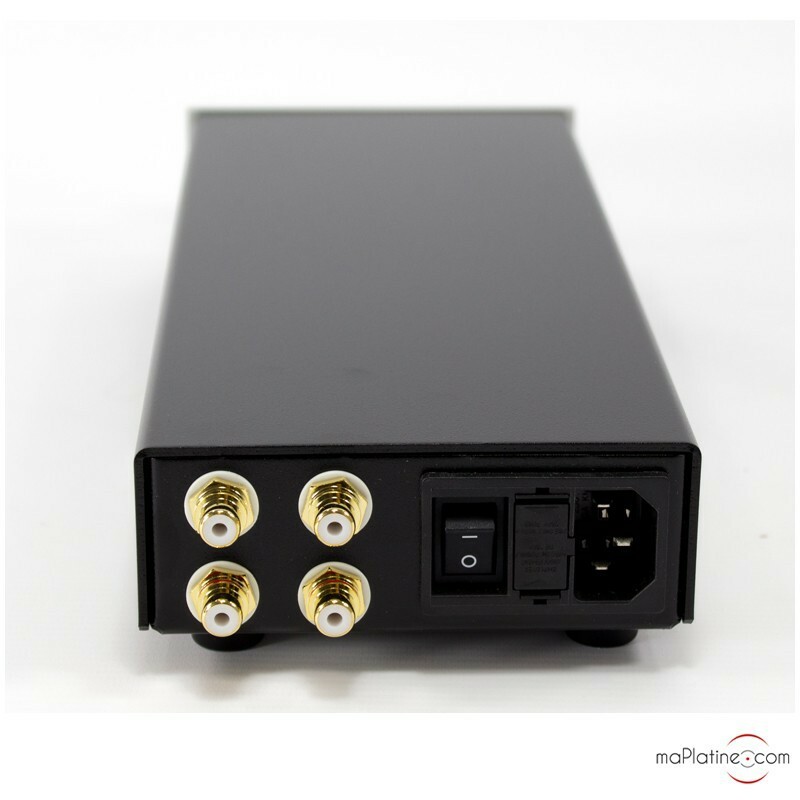 Note that this headphone amp has a generous power supply unit based on a 30 vA transformer, two high power capacitances and a regulation circuit. All the parts fit in a non-magnetic metal housing with a beautiful brushed aluminium front panel with a natural or black finish. The button is milled in the same alloy, giving it a luxury appearance and making it pleasant to handle. It has two pairs of RCA cables, one input and one output. If you plug your headphones into the left front panel output, the RCA output will become inactive, whereas if you plug your headphones into the right output, the RCA output will be active. 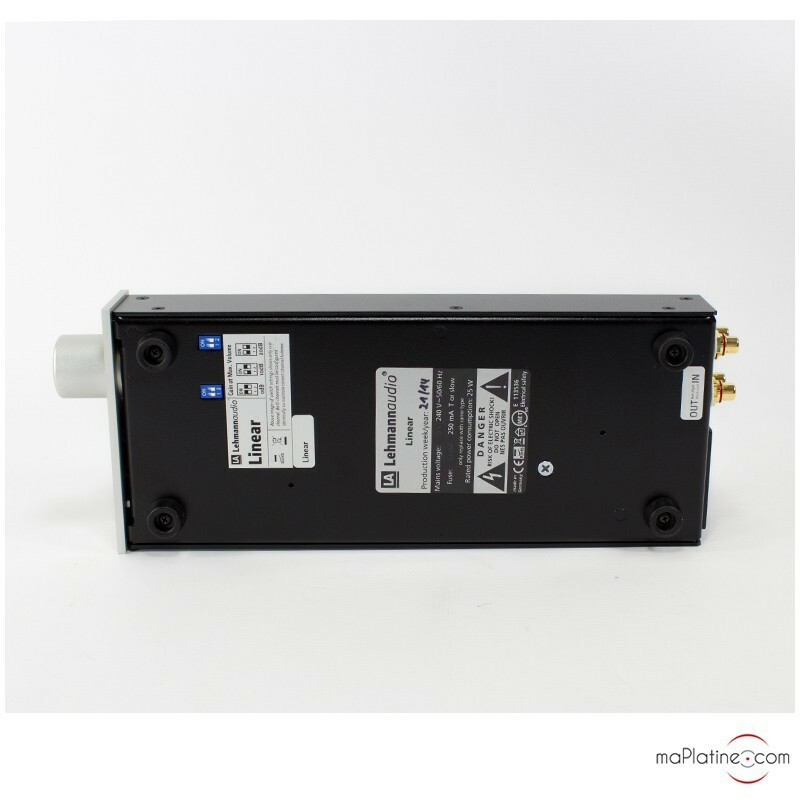 Both outputs have a parallel power supply with a power stage with discrete components polarised in pure class A. If you use two headphones simultaneously, we recommend that they have the same impedance. 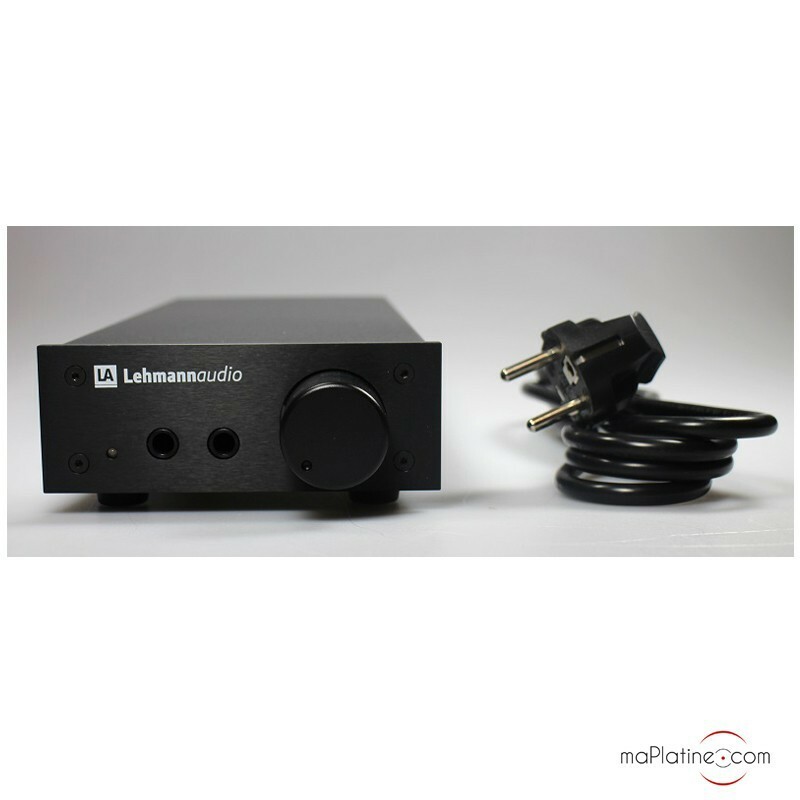 The gain is also adjustable by 0 dB, 10 dB and 20 dB via four micro switches accessible underneath the unit. 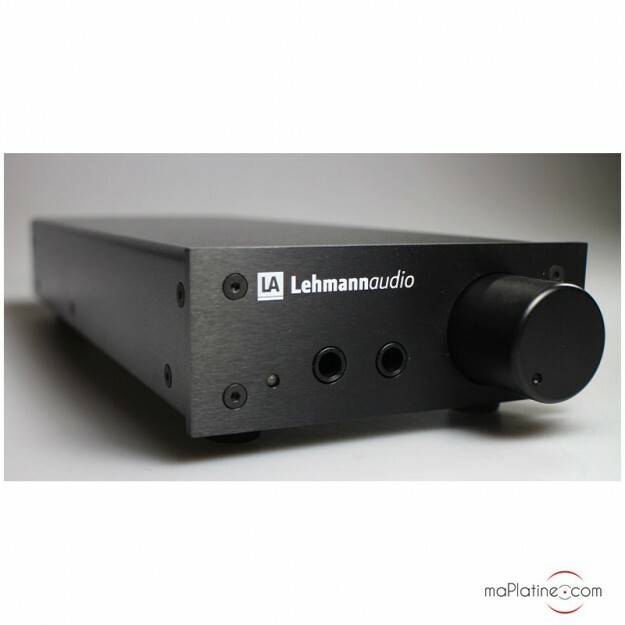 This Lehmann Audio Linear is definitely up there with the stars! It is a gem in terms of definition, transparency and dynamics. 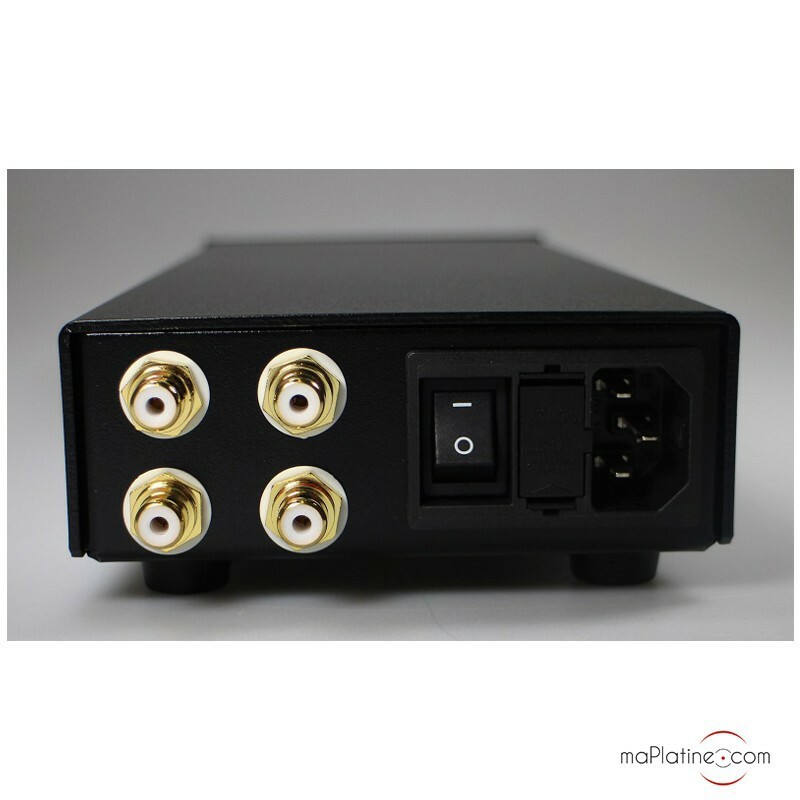 The listening experience with these parameters is very close to the sound quality delivered by very high-end active monitoring systems. 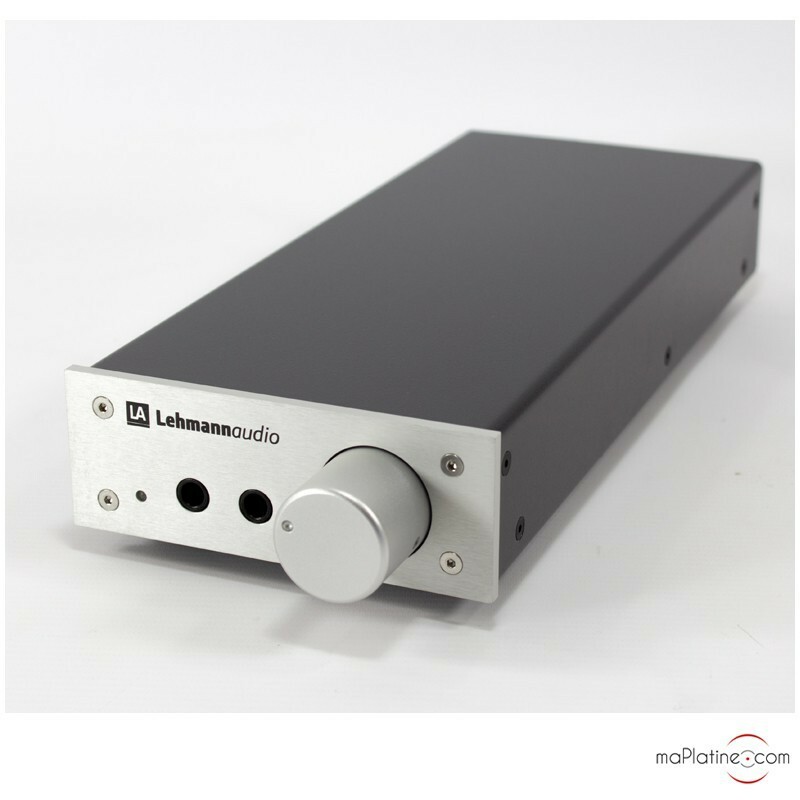 The sound quality is very subtle and well articulated, the timbre is full-bodied and rich and the sound stage is clear and precise and very close to the listener. It can be considered as a true high-end audiophile product and deserves the best headphones on the market, irrespective of the price. We paired it with our Grado GS 1000 and our Sennheiser HD 800 and it always did the job nicely! Undeniably, because of its neutrality and transparency, it needs a good-quality source. Even for twice the price, it is unrivalled to date. An amazing product that we have adopted and that is now one of our top picks! La finition de cet ampli casque est magnifique et les performances sont remarquables. La conduction des signaux audio est parfaite. Le son est très clair très fin l'image sonore est large et très précise. Les prestations audiophiles et les performances musicales sont au rendez vous. de cet ampli casque un excellent moyen d'exploiter tout le potentiel des casques audiophiles haut de gamme.